It’s been 23 years today since the death of legendary Nirvana frontman Kurt Cobain in an apparent suicide at his home. Cobain was found dead on April 8, 1994, with a shotgun laid across his body and a suicide note near where he was lying, and is believed to have shot himself three days prior. However, a documentary released in 2015 shed new light on the case, aiming to uncover new clues about Cobain’s last moments, and even sensationally claims that the grunge icon was murdered by his widow Courtney Love. It’s a big accusation and, although the ‘evidence’ doesn’t exactly appear rock solid, we can definitely now see why Love herself wasn’t especially keen for the movie to see the light of day! The film Soaked in Bleach, features ‘experts’ dissecting Cobain’s famous suicide note which they claim throws up new questions about the investigation. Their entire thesis appears to hinge on the discovery of a “handwriting practice sheet” found in Love’s bag, which several people believe theorise as evidence that she forged part of Cobain’s suicide note. 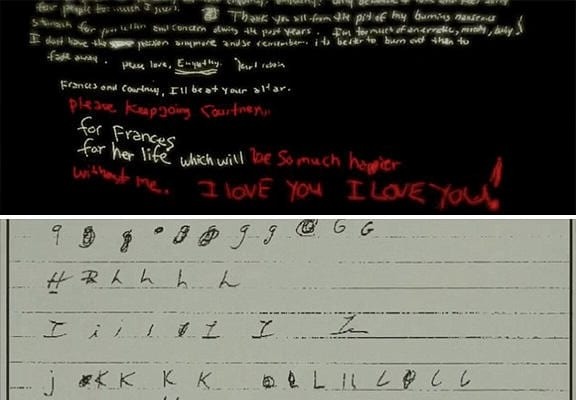 [The sheet contains] letter combinations of specific letters that are found in the bottom portion of the suicide note. It is possible that someone else with some skill could indeed imitate his writing, especially those last few lines. Carole Chaski, a forensic linguist, adds to the theory by pointing out that the top portion of the long note appears to be written in completely different handwriting and a different linguistic style to the bottom four lines. 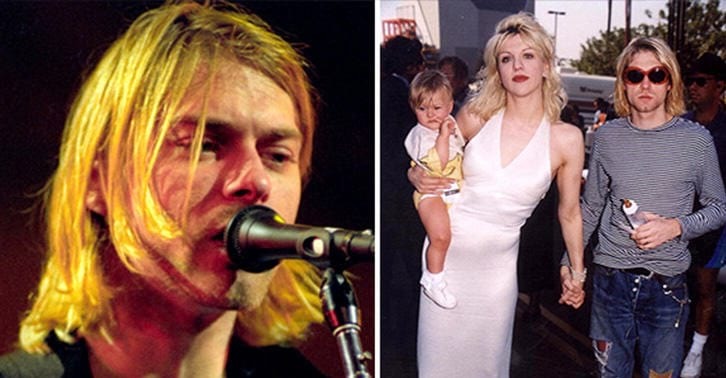 Tom Grant, the private detective who was interviewed for Soaked In Bleach, has argued that the letter reads more like a note announcing Cobain is leaving his wife and retiring from the music business, rather than a farewell to life. He claims the final few lines at the bottom, which read much like you might expect from a stereotypical suicide note, were added later by an unknown individual. Even former Seattle police chief Norm Stamper appears in the movie and says the investigation into Kurt’s death should be reopened.